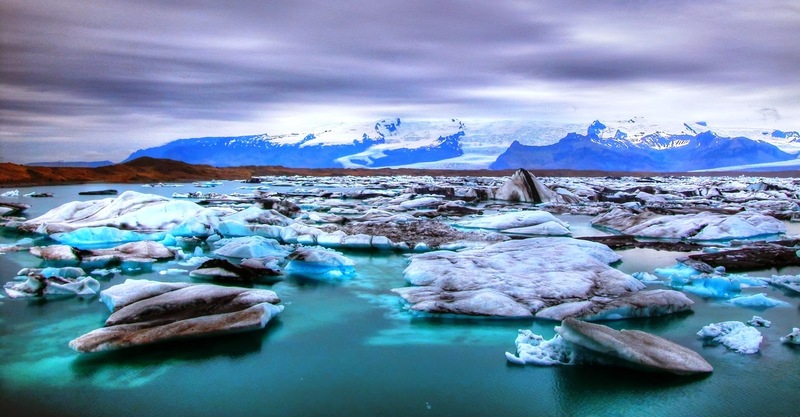 Jökulsárlón is also called "glacial river lagoon" actually a large glacial lake in southeast Iceland, on the edge of Vatnajökull National Park. 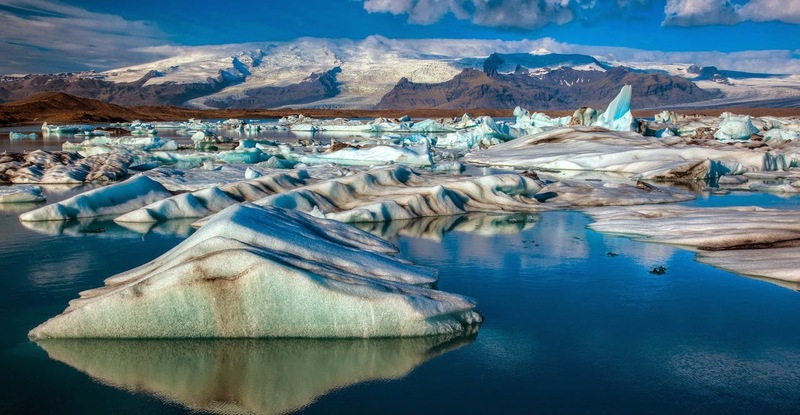 It is located at the head of the Breiðamerkurjökull glacier; it established into a lake after the glacier started receding from the edge of the Atlantic Ocean. 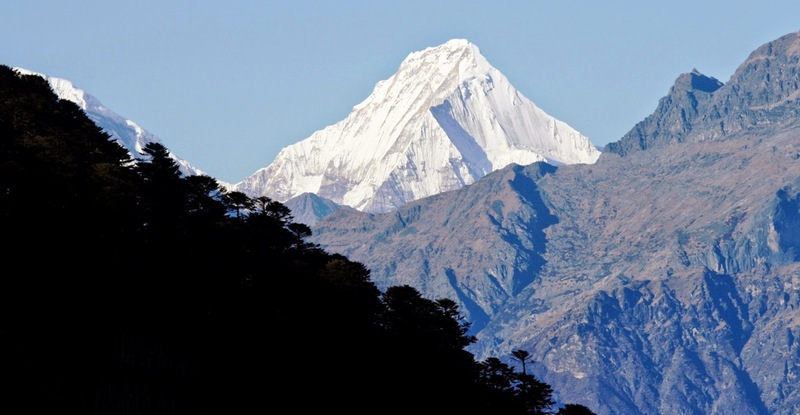 The lake size has grown since the glaciers are melting, and now it is 1.5KM away from the ocean edge and covers an area of almost 18 Kilometers. 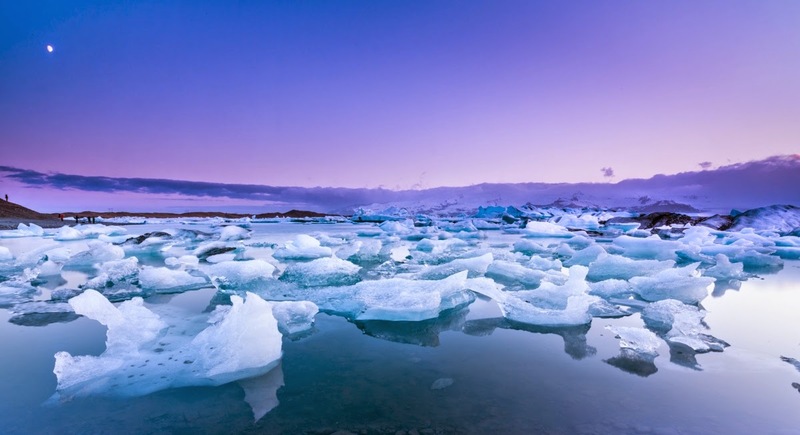 In 1975, the lake was about 8 kilometers in area and now it has reportedly stands at 18 km2 at the edge of the glacier tongue. 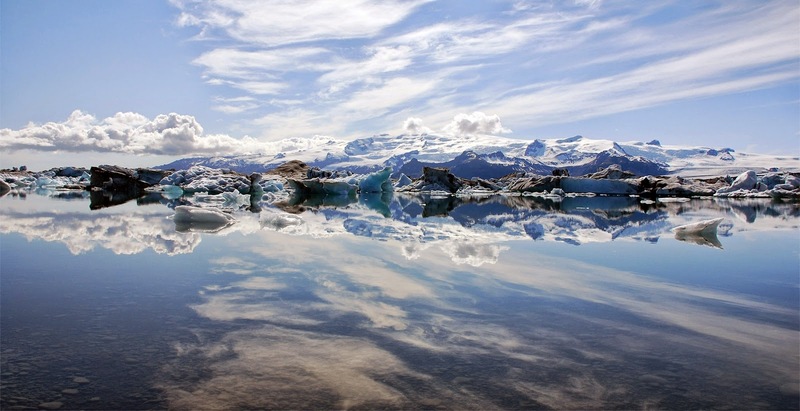 It is well renowned lake in Iceland and one of deepest lake in the country. 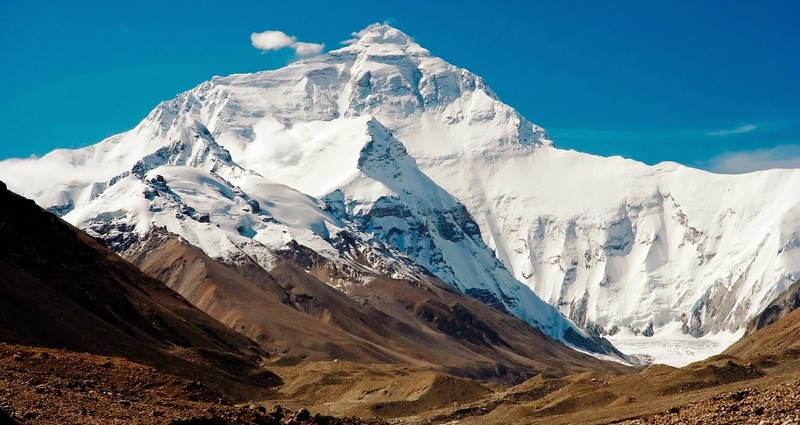 The depth of lake is over 248 meters as glacial retreat extended its boundaries, and increased fourfold since 1970’s. 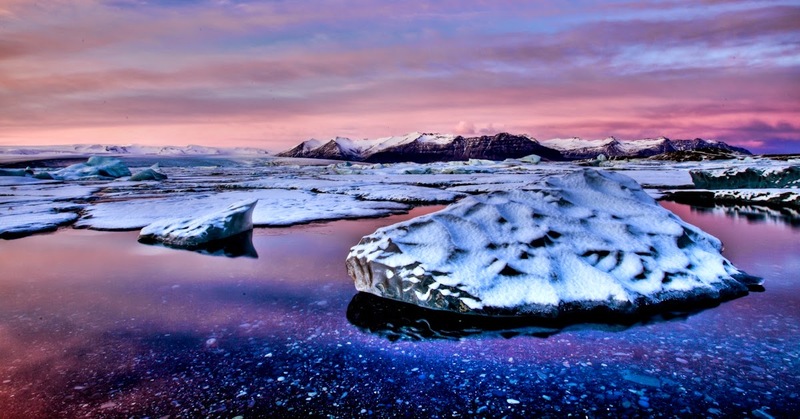 It is regarded as one of natural wonders in Iceland. 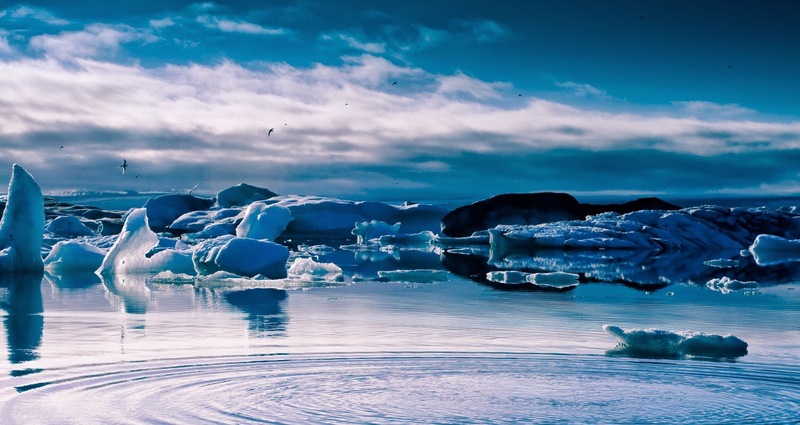 The Lake can easily view from Highway 1 between Hofn and Skatafell, and appears as a ghostly procession of luminous blue icebergs. The lake has been featured in many Hollywood movies & reality TV series. 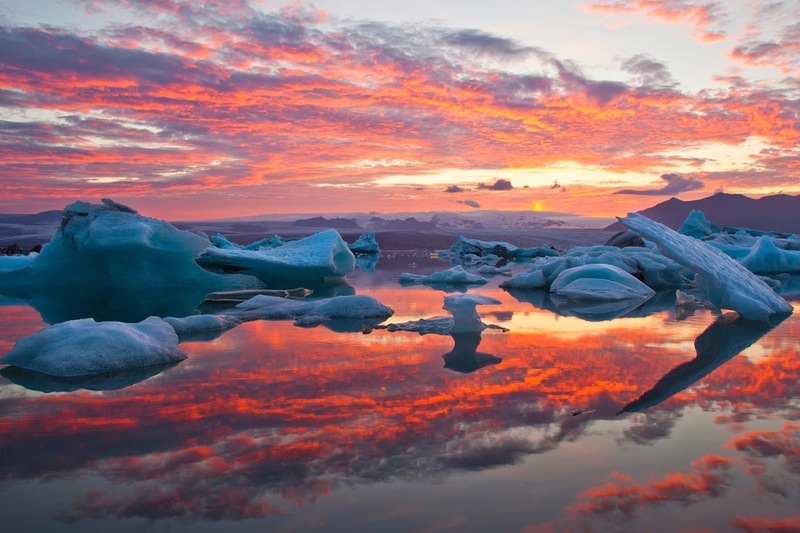 However Iceland has issued a postage stamp of this stunning lake in 1991. 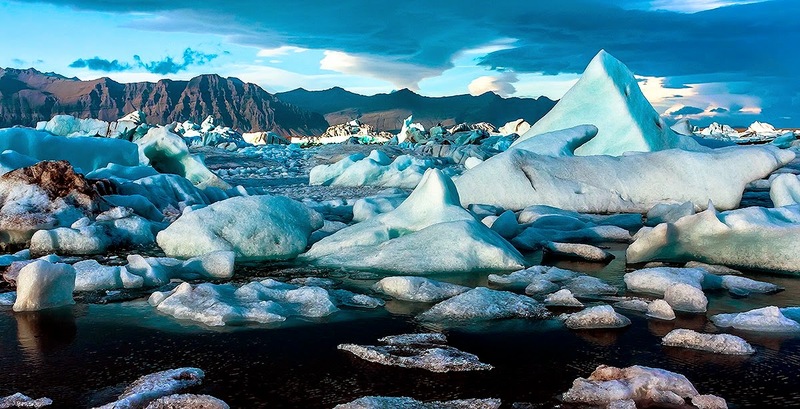 However the tongue of the Breiðamerkurjökull glacier is a major attraction for tourists. 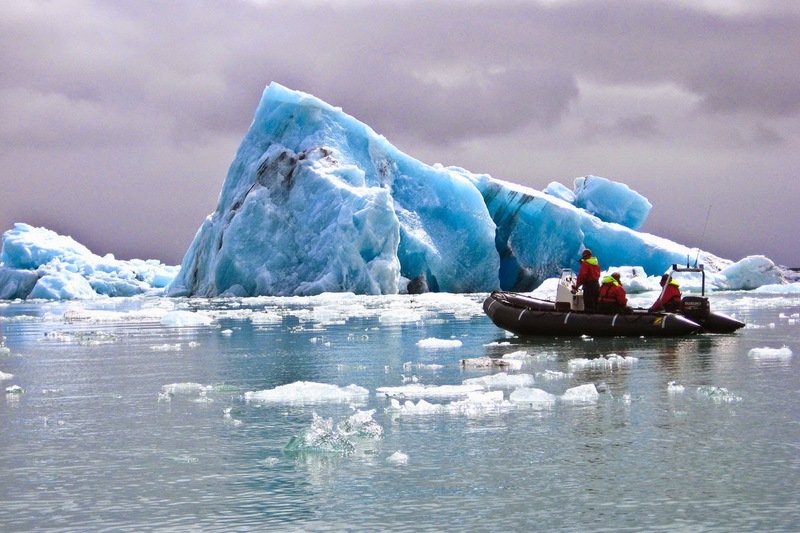 The Jökulsárlón Landowners Association represents the owners of the land property Fell, which covers the Jökulsárlón, also known as the Glacier Lake. This property is leased out for filming or any other commercial activity as required. 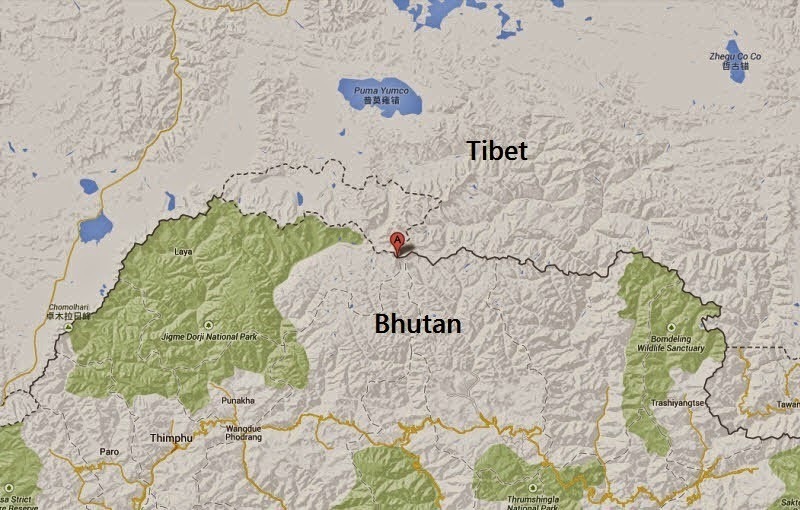 It is also famous as the "Tourist Conveyor belt". 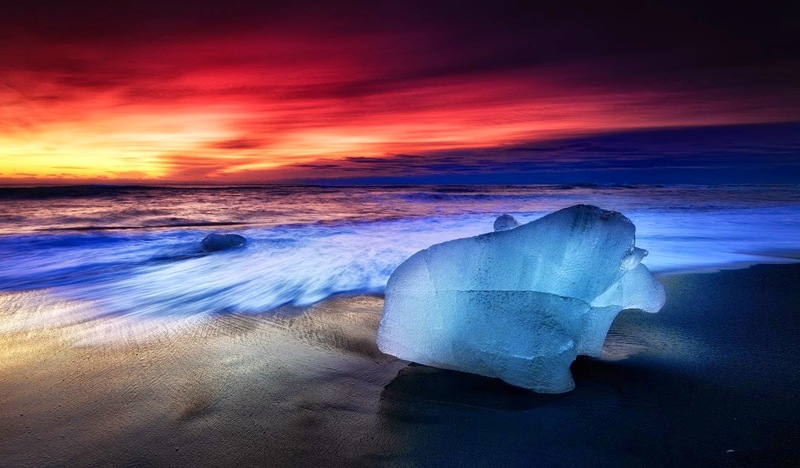 Though walking on the shore, isolated large blocks of icebergs can be seen on the black sand beach. 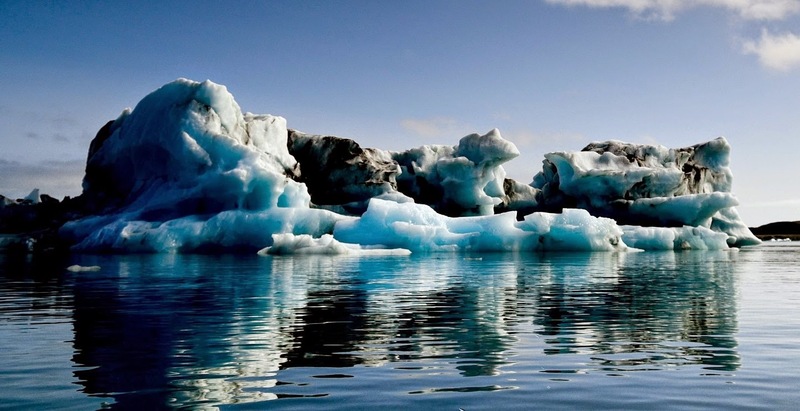 It is notable point of current retreat rate of Vatnajökull, it is expected that there will possibly be a deep fjord where Jökulsárlón is now in the near future. 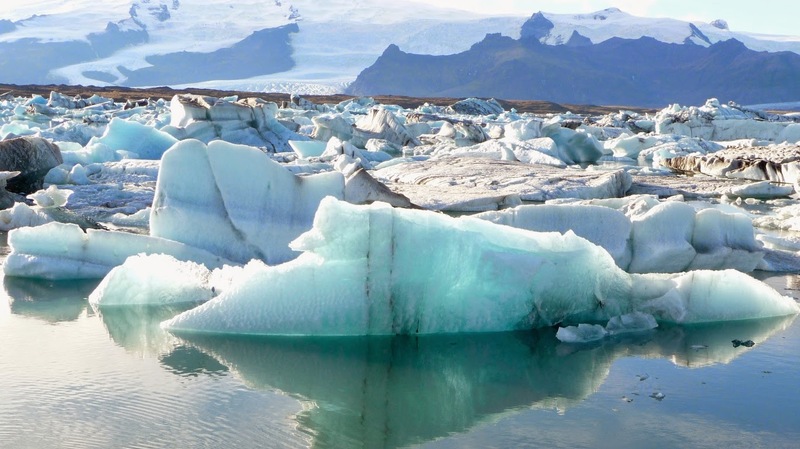 This retreat is also posing a significant threat to the National Highway Route 1 of Iceland. 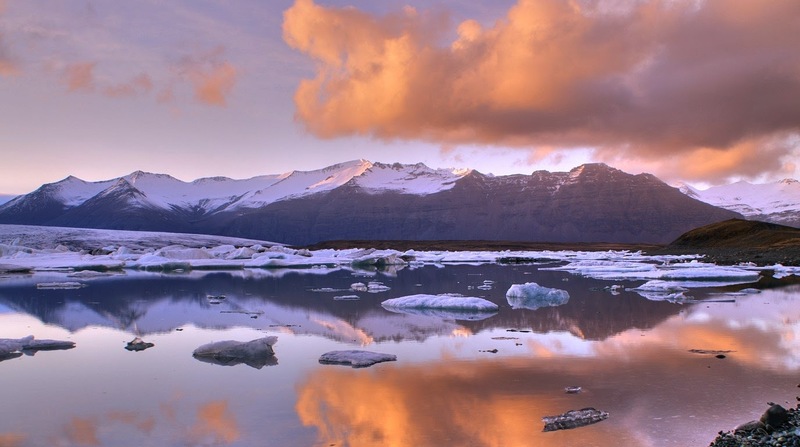 The lagoon is 75 kilometers to the west of Höfn town and 60 kilometers east of Skaftafell. It is accessible by the ring road, Route 1 that goes across the lake, and where parking facilities have been provided for visitors. 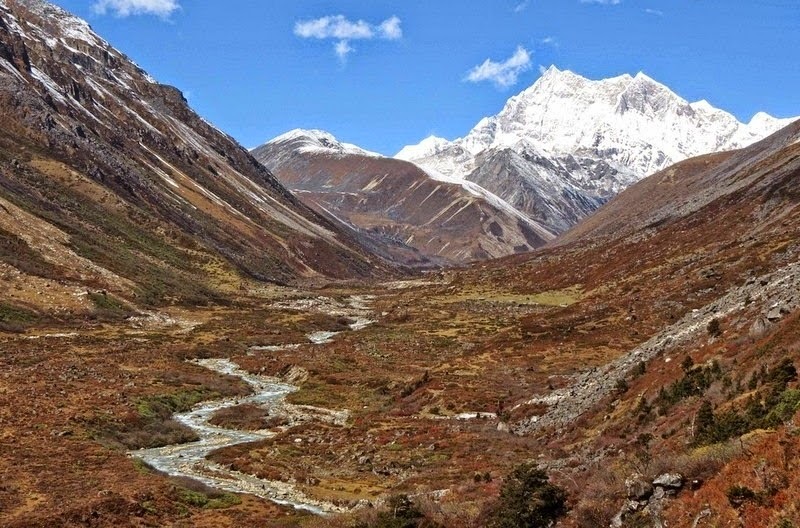 Therefore, a coffer dam was contructed near the Glacial River Bridge in order to build a proective measure of stone boulders to prevent any erosion. 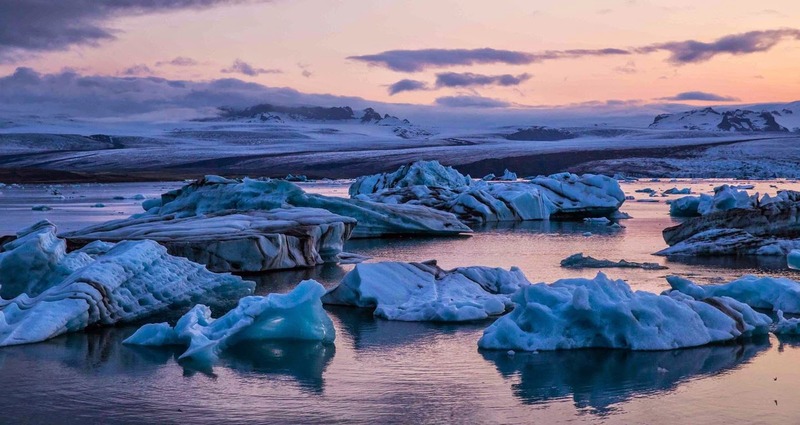 Well, this coffer dam enabled the Icelandic road administration to create workable access for the power shovel digger to place the row of stone protective measures, which would also divert the icebergs from hitting the bridge pillars and thus avoid damage to the structure features. 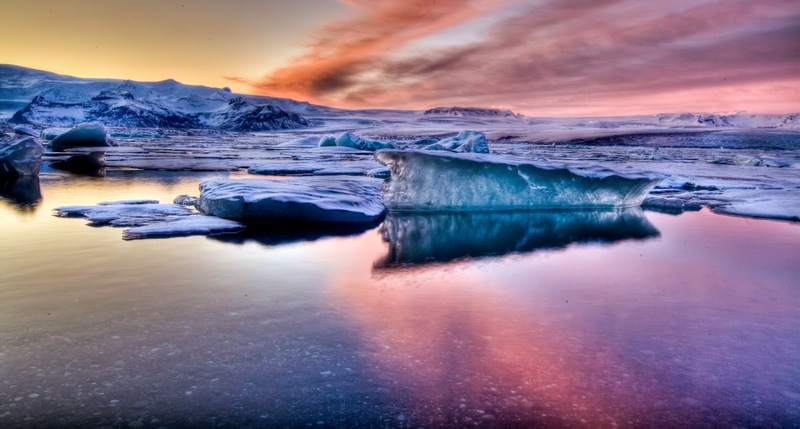 The lake is filled with fish, and seals gather in winter to catch the fish. A huge number of sea birds i.e. arctic terns, trying to catch herring, trout, salmon and other fish and krill. In the summer season the dark color white skuas have their nests on the lake's shores, which are naturally very aggressive "pirates of the seas", harass other birds as big as gannets. Due to natural aggression they’d like to kill and eat smaller birds such as puffins. Even gannets are not afraid from human beings and cannot tolerate human beings close to their nests. These birds migrate from their wintering grounds off the coasts of Spain and Africa. In 1985, the premiere of the James Bond movie A View to a Kill marked the start of commercial boat tours on the lake. Guðbrandur Jóhannesson started the tours on Jökulsárlón. 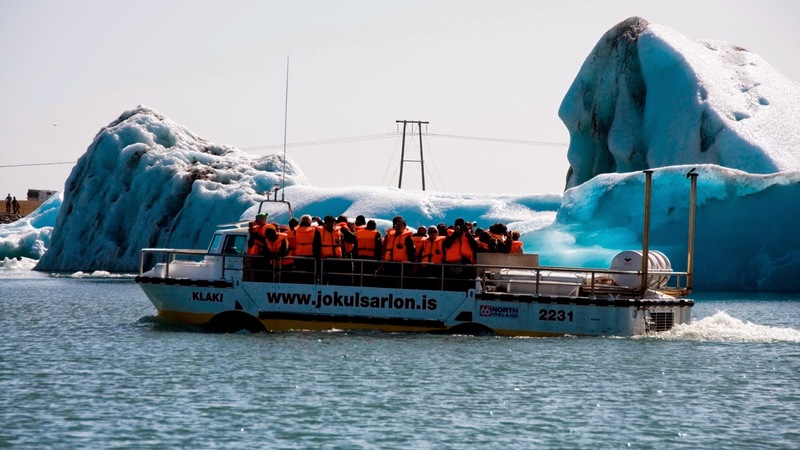 Jóhannesson, who today owns and operates the company Vatnajökull travel, operated the tours for the first two years. 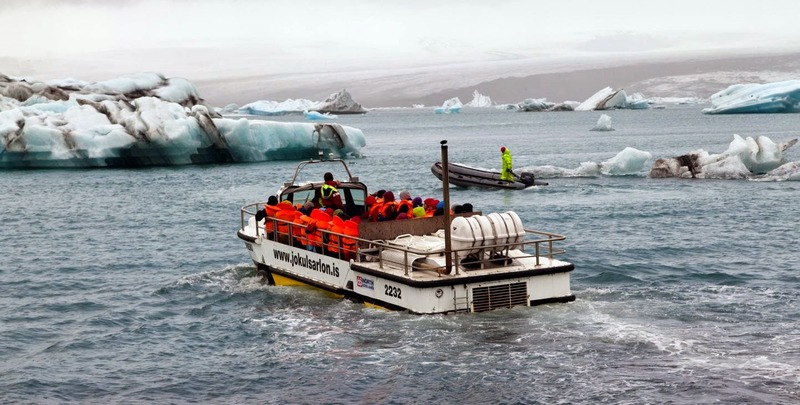 The company has employs about 30 seasonal employees, which has carried 60,000 to 70,000 passengers annually; since the first commercial boat tour, about 900,000 tourists have taken the excursion. The popularity of lake has been boosted day by day due to TV and Media coverage. 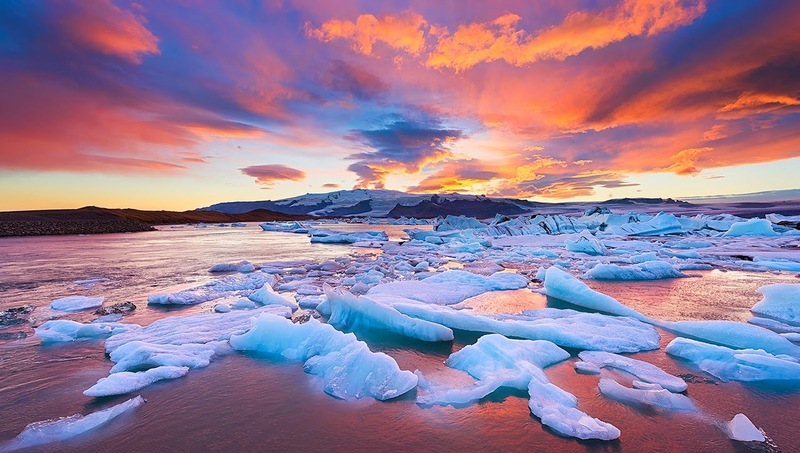 If you’re visiting Iceland, then it’s a must see place for you. 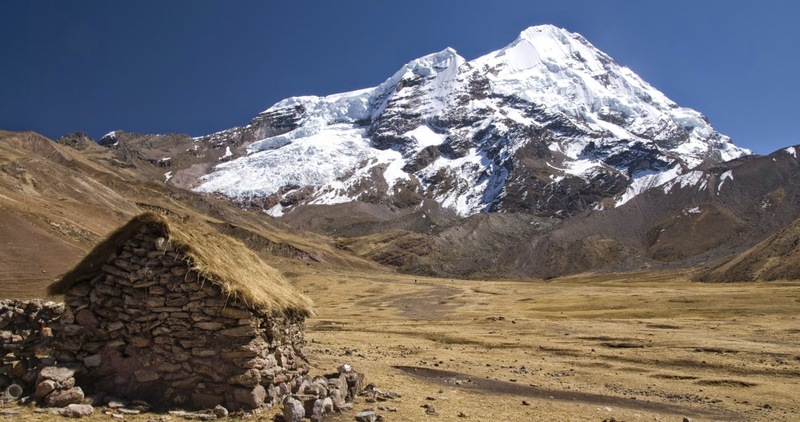 The Nevado Chachani is the highest of the mountains near the city of Arequipa in southern Peru. 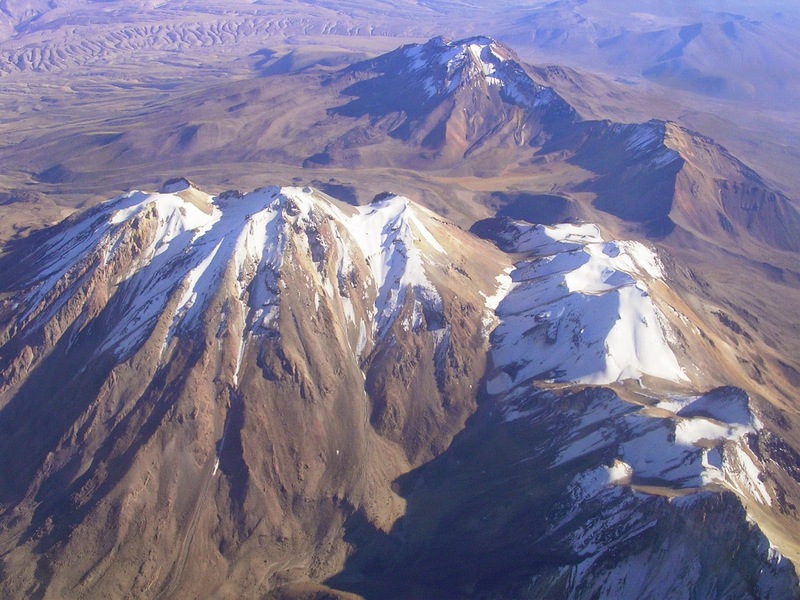 Due to low precipitation in the area, the Chachani does not have permanent ice cap or glaciers. 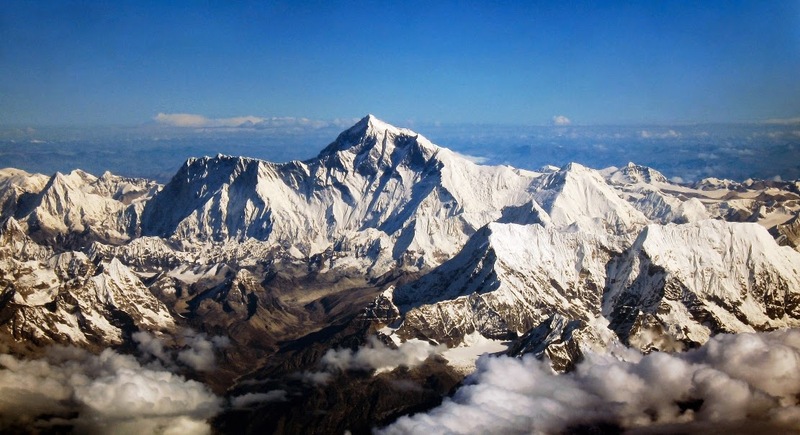 Therefore; climbing this mountain is extremely popular and several tourist agencies offers guidance trips to the summit. 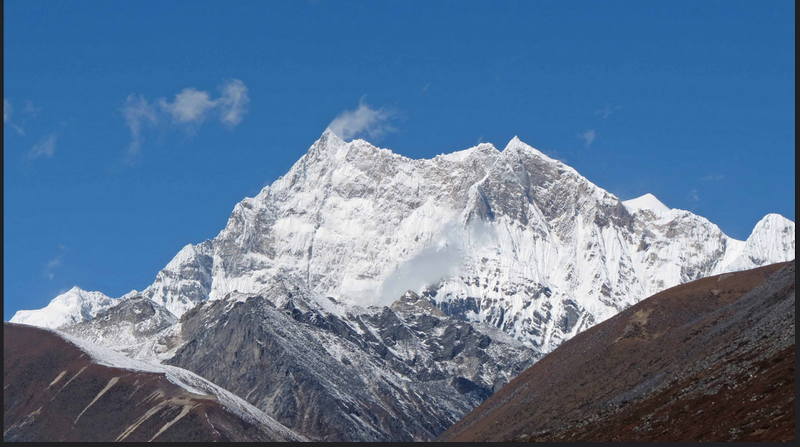 However the altitude is considered challenging for those folks who are not fully acclimatized. 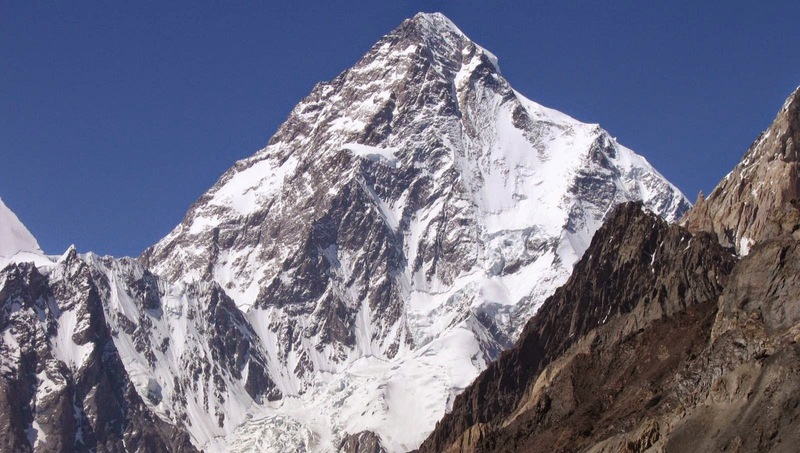 Most of the climbers take northern side route. 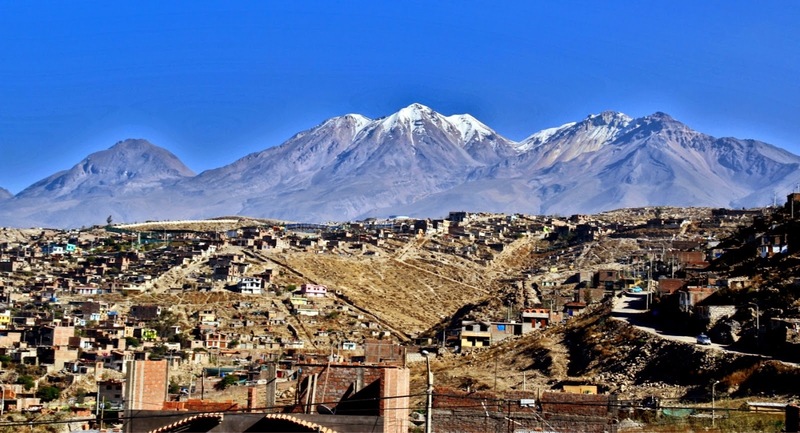 As the trek is at a top off point and can reached in two and half hours by four wheel drive vehicle driving west around Chachani and turning off from the main highway near Pampas Cañahuas, or heading north from Arequipa between Misti and Chachani. 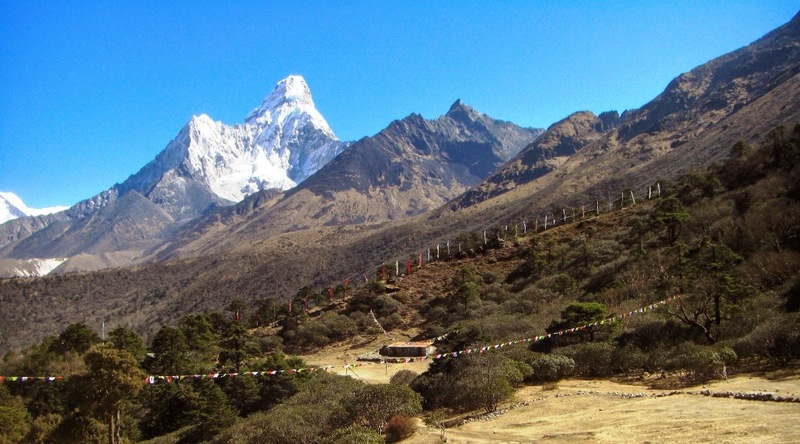 The average total climb time from base camp ranges from six to nine hours, with a two-to four-hour descent. 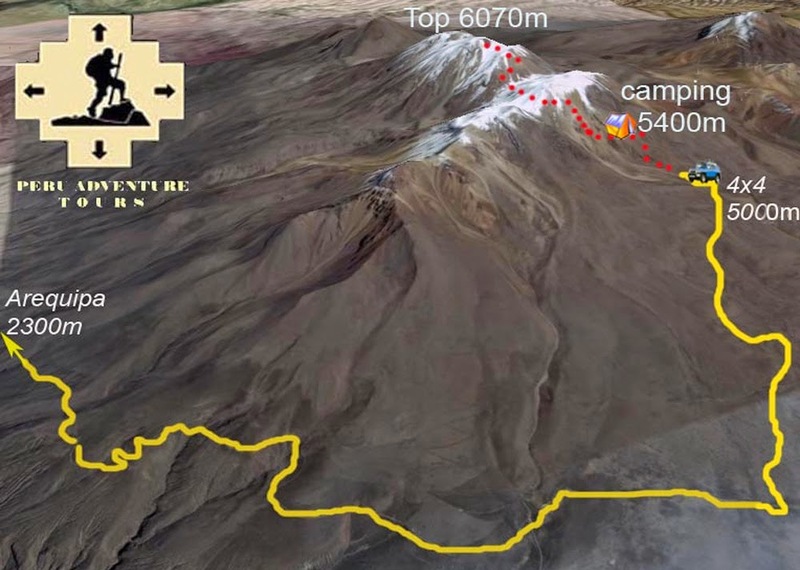 Moreover base camp is at approximately 5,200 metres and there is another higher camp often called “Camp Azulfrera” located at about 5,400 metres. 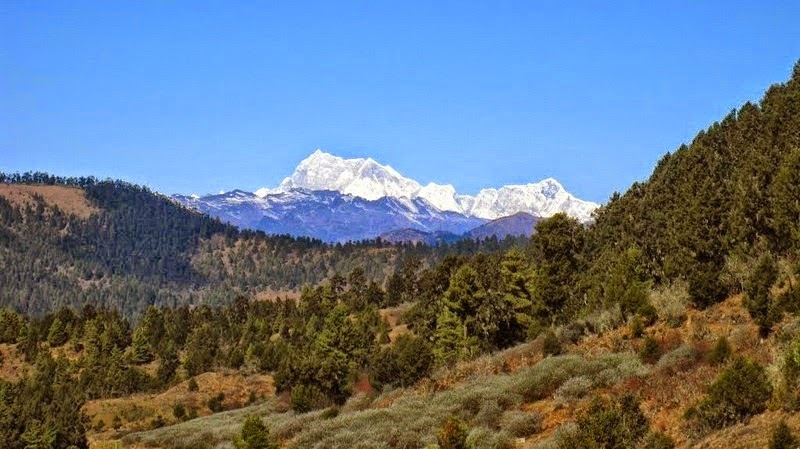 The route begins with the ascent to the Angel Col before traversing the El Angel Mountain itself. 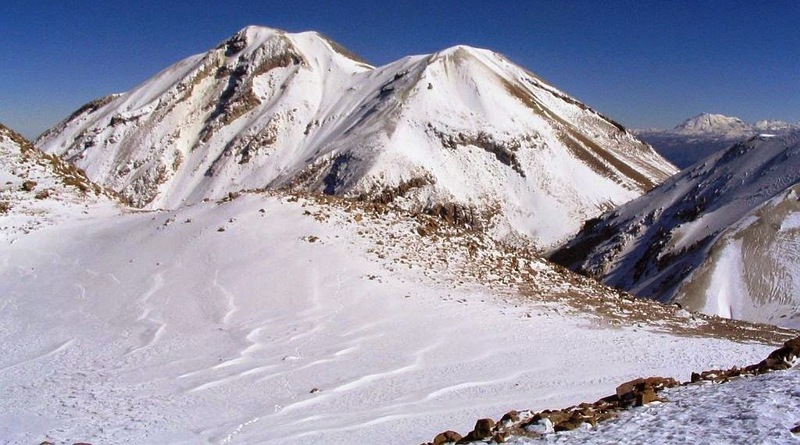 At that point climbers ascend the face of Fatima Mountain in a Zig-Zag pattern before making another traverse on the Fatima Mountain. 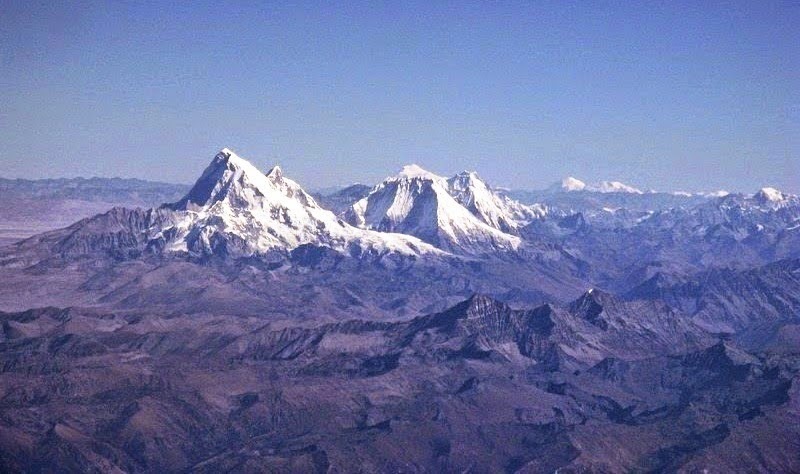 Thus only then can the summit of Mount Chachani be seen. 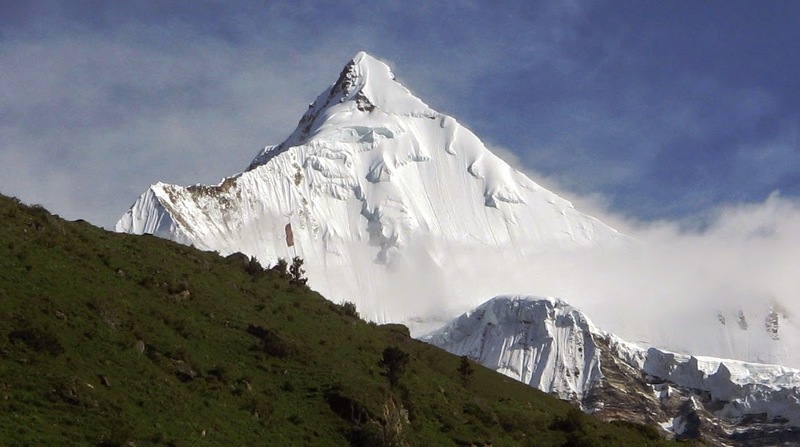 From there, climbers need to make the final ascent on the face of Chachani all the way to the top of the mountain. Although standard route needs crampons and an ice axe, but does not need roping up, as there’re no large crevasses on Chachani. 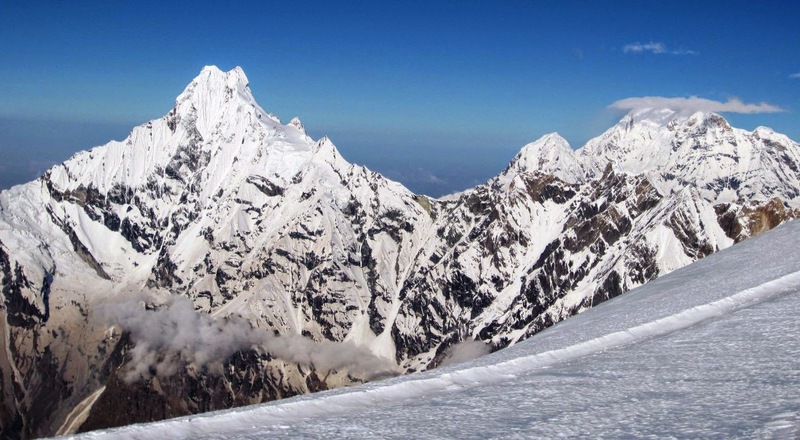 Two traverses over relatively steep terrain constitute the foremost challenges on the way to the summit. 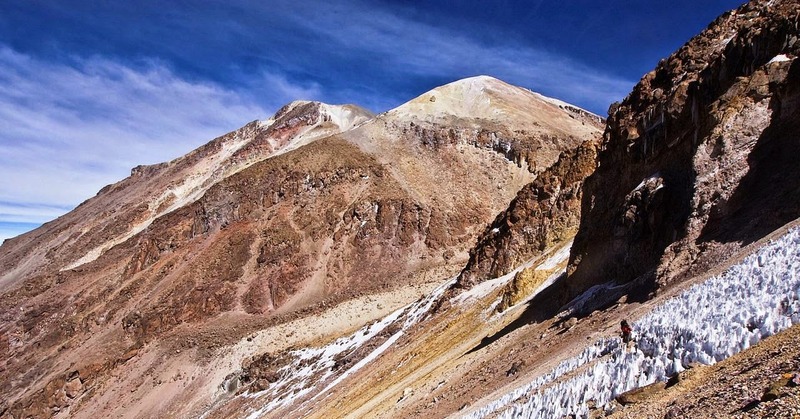 The final push to the summit is a very steep scree slope, which runs for a fast descent back to the first traverse. 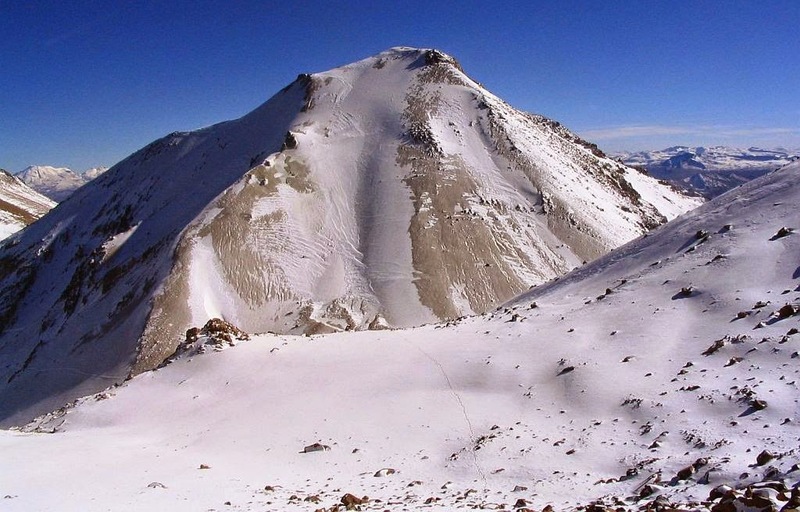 In the recent years, the amount of snow on Chachani has reduced radically, so for several months of the year there may be slight snow on the mountain in October and November 2010, there was no snow at all, and the ascent could be made without crampons or ice axes. 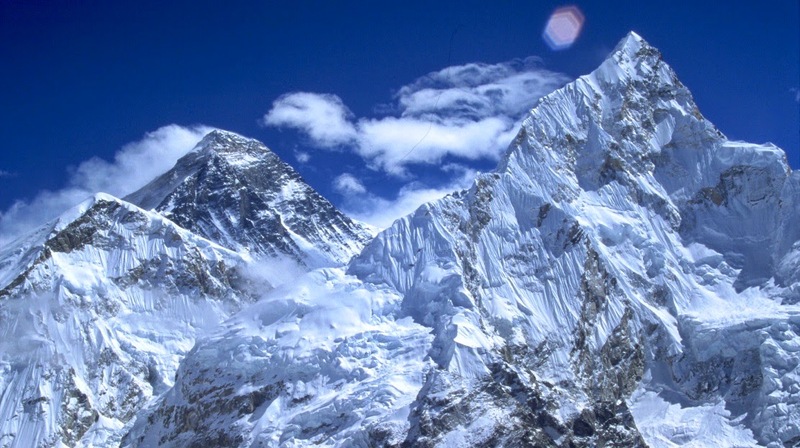 Climbers must to check on the snow conditions beforehand.